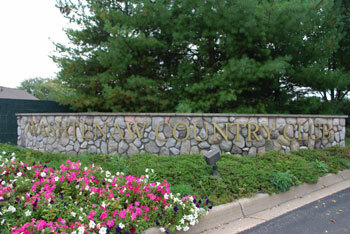 About six months after Washtenaw Community College walked away from a deal to buy the financially strapped Washtenaw Country Club, the private club has found another potential buyer. The Berger family, owners of the Polo Fields Golf & Country Club in Scio Township, is negotiating a purchase of the 122-acre club, located off of Packard between Golfside and Hewitt in Ypsilanti Township. Ed Shaffran, a local developer and Washtenaw Country Club member, said that Citizens Bank was willing to write down $1 million of the club’s $1.9 million debt, if the purchase goes through by year’s end. The club, which includes an 18-hole golf course, incurred the debt for renovations, but was unable to pay because of declining membership. There are about 120 members, according to Shaffran.